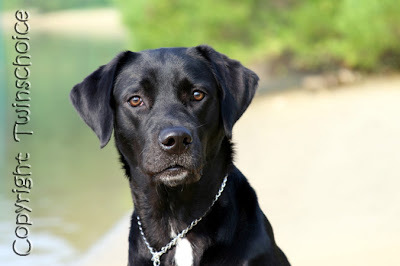 Some people will tell you it's not easy to shoot a dog with black fur, like a black Lab. I'll admit, if you don't do it right you might end up with a black blob instead of a dog photo. 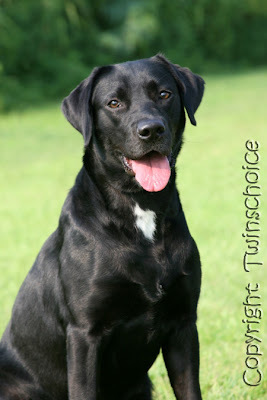 Here is one beautiful black Lab named Ceia (pronounced See'-a). 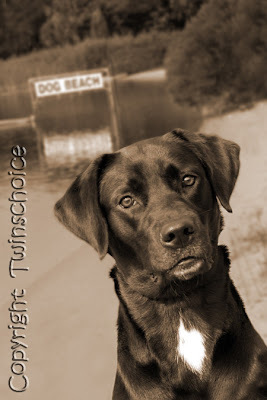 Mary, her human, met me at Bayview park and we had fun making portraits of this beautiful dog. Boy, was it hot out there! In a few of the shots I could actually see about 20 little flying bugs perfectly in focus trying to land on poor little Ceia's head! Mary is a Southeastern Guide Dog puppy raiser and Ceia is her next student. It was fun trying to find a tactic to get Ceia to look at me with her ears up...the old "Where's the kitty cat?" "Wanna go for a ride?" "Want a cookie?" didn't seem to work with this fun girl. I laid on the ground, put a toy squeaker in my mouth, made exotic bird noises, and asked her if she wanted to go to the dentist--twice! Mary, I don't know how you kept a straight face! Here are a few of my favorite photos from our day at the park. You can tell the morning light was sooooo perfect by the way these shots show her beautiful coat. We need to get some photos with Ceia in her Guide Dog vest. We can certainly wait till the heat index drops below a scorching 100! 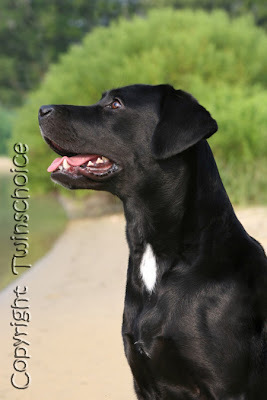 If you would like to volunteer or learn more about Southeastern Guide Dogs and what you can do for the puppy raiser program, visit their website at http://www.guidedogs.org/. Be sure to check out the gift shop and the puppy picture galleries! Thank you to all my loyal clients and welcome to my new ones this year! Nearly all of my business is generated by word-of-mouth and many of my clients come back year after year. I just wanted to say I appreciate you!